Legendary former Sooners Head Coach Bob Stoops has been named the General Manager and Head Coach for the Dallas franchise in WWE Promotor Vince McMahon's revamped XFL Football League. For Stoops, "the idea of getting back into coaching without it being overly time-consuming" was what he found so appealing. "When the chance to play a key role in building a new football league came my way, I couldn't pass it up". Bob left the University of Oklahoma in 2017 and hasn't coached since. Stoops actually retired in 2016 and it is said that a big money amount would be needed to pull him in. The XFL's 10-week regular season returns in February 2020. 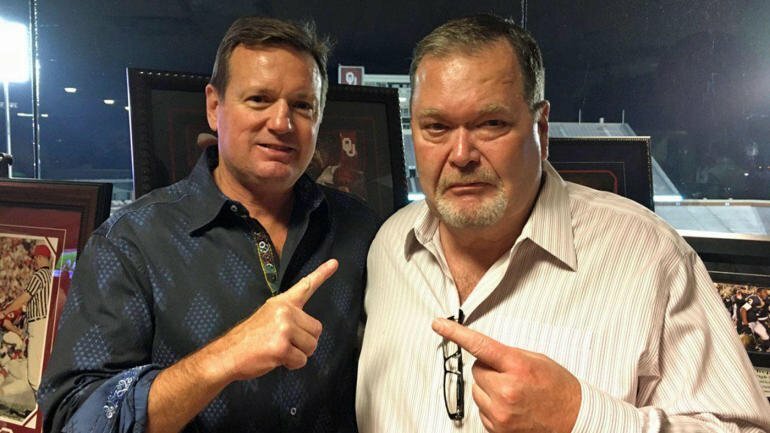 For those looking for another pro wrestling connection, Stoops is friends with longtime Sooners' backer Jim Ross. Other XFL teams, which do not yet have head coaches, are slated for Houston (TDECU Stadium), Los Angeles (StubHub Center), New York (MetLife Stadium), St. Louis (The Dome at America's Center), Seattle (CenturyLink Field), Tampa (Raymond James Stadium) and Washington, D.C. (Audi Field). "It'll be challenging for sure. If it wasn't, I wouldn't do it", Stoops told KWTV. And if it's not fun, I won't do it. "But this is 'real football.' If it was something goofy or have those old goofy names, I wouldn't be associated with it".